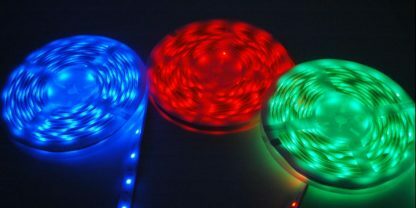 12VDC RGB LED Flex Strip (Bright-Plus series): 16.4 feet (5 meters) long roll color changing RGB LED lighting in a protective Silicone covering. 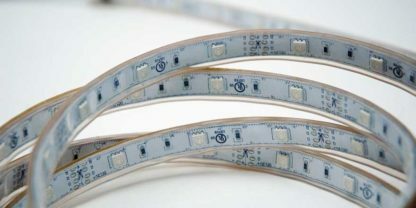 Each 5050 SMD has three color LED chips inside; red, green and blue to create dynamic color changing effects with the use any of our optional RGB Controllers to control the strip. 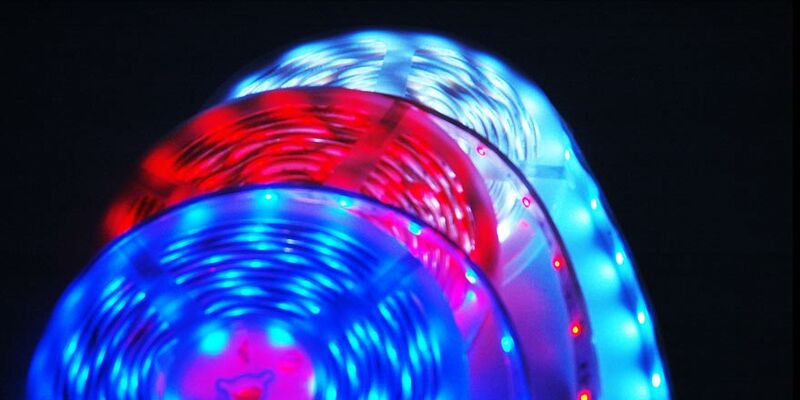 Note that the Maximum length of roll is 16.4 feet (5 meters) due to voltage drop. 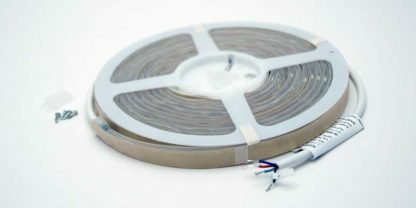 Type-C, suitable for damp location and has a peel and stick double-sided adhesive backing. Mounting clips and screws are included with the product.